The Camilla fall/winter 2013 lookbook must be carefully analyzed in order to be fully appreciated. 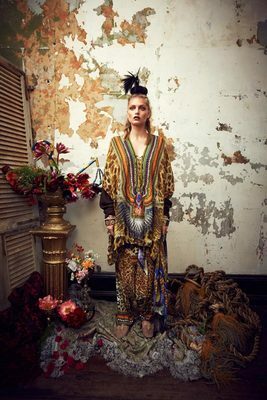 Australian designer Camilla Franks focused on deliver complex eye-catching outfits which closely adhere to the maximalist perspective we've seen on some important runways for fall 2013. 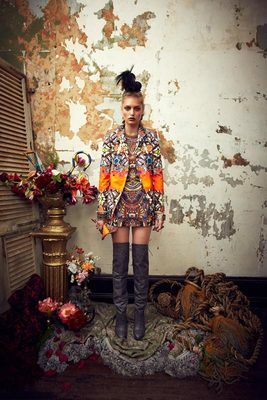 There are statement pieces and statement outfits and the label definitely opts for the later with its next season offerings. 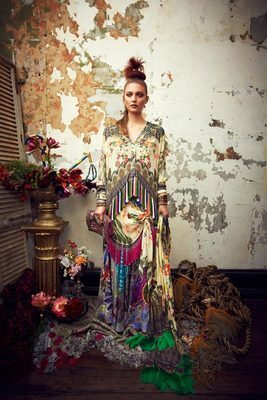 As a result, the new Camilla lookbook looks very much like a print lover's paradise. 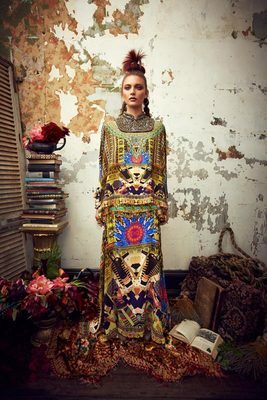 If gypsy-inspired pieces are your thing, you'll definitely want to take notes as the label brings such looks are definitely styled to reflect the theme extremely vividly. 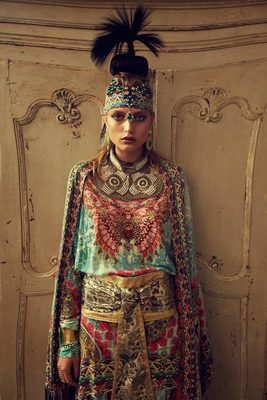 Eclectic touches at their finest transport fashion lovers into a world of sophistication, color and pattern. 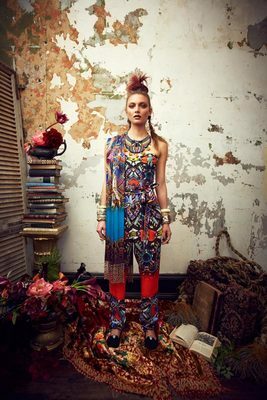 There 's no such thing as too much print in the new Camilla fall 2013 lookbook. The whimsical combos feel effortless yet surprisingly complex at the same time. The fab pieces which create fab proportions and an edgy flair are largely responsible for the fab effect created. 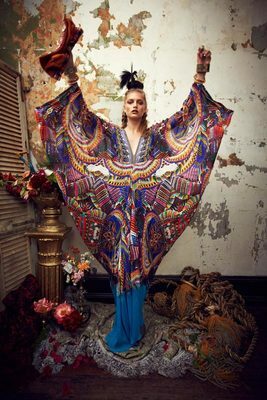 Mesmerizing kaftans, gorgeous dresses and bold tops, mixed and matched to perfection are the suggested alternatives for the upcoming season. From patterns to accessories, everything is meant to attract attention instantly. 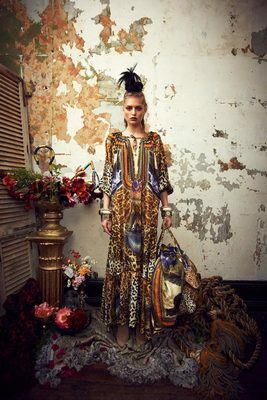 The fab contrast between loose fit pieces and tailored pieces is one more detail that amps up the wow factor of the new Camilla Franks fall 2013 lookbook. When it comes to jewelry, things get extremely interesting quickly. 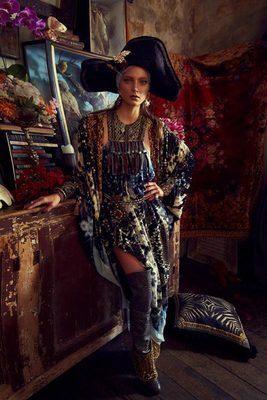 Though all the accessories included in the Camilla lookbook for fall/winter 2013 are covetable, when it comes to jewelry, the scale is completely changed. More is definitely more in this department and layering numerous high impact pieces is definitely encouraged in the new lookbook. 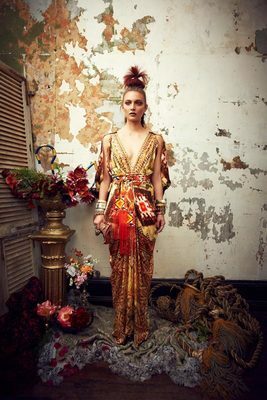 From long necklaces to fab headpieces, the more complex, the better is the concept you'll need to honor if you're craving a similarly cool whimsical effect.